Our parish is more than just a place where people come to worship the living God (although it is first and foremost that!). St. George is a vibrant faith community of people of all ages and backgrounds who are working out their salvation together with fear and trembling in accordance with the commandments of Our Lord and Savior Jesus Christ and the sacred norms for spiritual life of the ancient Holy Eastern Orthodox Church. 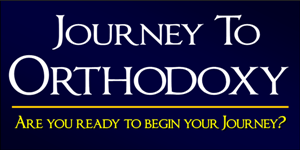 Many of our congregants journeyed to the Orthodox Church from other Christian faith traditions and denominations and some non-Christian religious and spiritual traditions. Whether you are “on a journey” or just wanting to visit a local Orthodox church you will be welcome at St. George. We are always honored to have visitors join us for prayer and worship. We believe that our small church is the place where heaven strikes earth like lightening each Sunday and that ours is a church immersed in the unchanging Faith of the ages. We invite you to come and see the Light; to come and receive the Heavenly Spirit; and to come and find the True Faith, worshiping the Holy Trinity, Who has saved us. Please join us each Saturday evening at 6 pm for Great Vespers and each Sunday for Orthros at 9 am and the Divine Liturgy at 10 am.